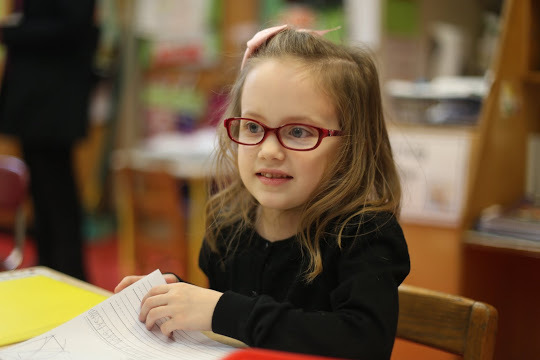 Curious about pre-k? Come to our InsideSchools event Feb. 6! Pre-Kindergarten applications for children turning 4-years-old this year are due on Friday, Feb. 24. Let us help you get informed and ready. Sign up for our free workshop at Rutgers Community Programs at 236 W. 73rd Street on Feb. 6 at 6 pm. Join Clara Hemphill and the staff of InsideSchools as we release our new book, New York City's Best Public Pre-K and Elementary Schools. We'll highlight some undiscovered gems and walk you through the pre-kindergarten and kindergarten application process. • What's the difference between childcare and pre-kindergarten? • What should I look for when I visit? • What about gifted, charters and other options? • How and when do I apply? The one-hour presentation will be followed by a Q & A period. The event is free. Our new book will be on sale: New York City's Best Public Pre-K and Elementary Schools, 4th Edition. The guide is based on visits by the InsideSchools staff to more than 150 public schools in all five boroughs. InsideSchools is partnering with Rtugers Community Programs to offer this workshop.